The Disney Store and Go Backless Booster Car Seat is made for children that are between 40 to 100 pounds. This booster seat features a pull out storage drawer that keeps your child’s toys and gear in a place that is easy to reach while they remain buckled in. This drawer has a kid-friendly latch that keeps it securely closed once it is shut. 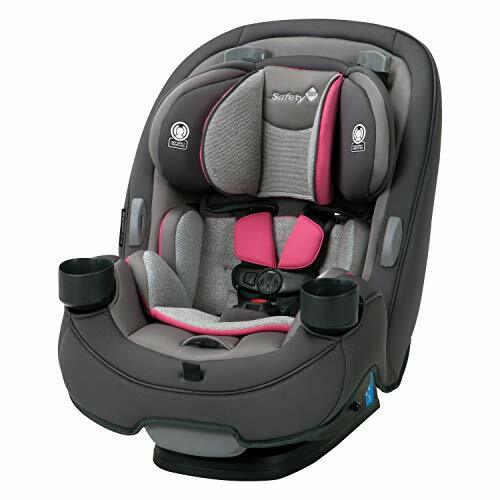 It can be easily opened again while your child is sitting securely and safely in the seat. There is also a built-in cup holder on one side with additional storage on the other. This makes it easy to keep a drink and snack close by during travel. As of this writing, there were 154 customer reviews and 22 answered questions on Amazon. I’ve read the reviews and questions and then condensed the information that parents were saying about this booster seat. I hope that this helps you in picking out the right booster seat that meets you and your child’s needs. The price of the Disney Store and Go Backless Booster Car Seat is a bit higher than most booster seats. But keep in mind that it has the convenient kid drawer and also the cup holder. Most booster seats are only made to boost the height of the child, but this one has those added features that are popular with kids. The kid slide out drawer seems to be the most popular feature of this booster seat. Most of the parent reviews said how their child felt empowered and had proud ownership over their own secret drawer to store their important belongings. I would think this added feature would make travel more enjoyable for all. The secret drawer really was a big hit. Almost all of the reviews mentioned the drawer. That is what sets this booster seat apart from the others. This booster seat has passed all of the required safety standards. Remember that this seat is intended for a child between the weight of 40 to 100 pounds. The seat pad can be hand washed with warm sudsy water, rinsed clean, and air dried. Bleach or other harsh chemicals should not be used, nor should the pad be dry cleaned. This seat is very easy to install. Booster seats by nature are so much easier to install than infant, toddler, or convertible seats. The Disney Store and Go Backless Booster Car Seat is a bit more than your basic booster seat. It has a nifty hideaway drawer that lets kids store special items. The drawer is accessible for the child even while he or she is strapped in safely. This makes it nice for the parents or driver to not have to stop the vehicle to get the child a toy or snack. Parents commented how this feature was their favorite feature about this booster seat. The price is a tad higher than most booster car seats, but keep in mind that you are getting that cool drawer and also cup holders. 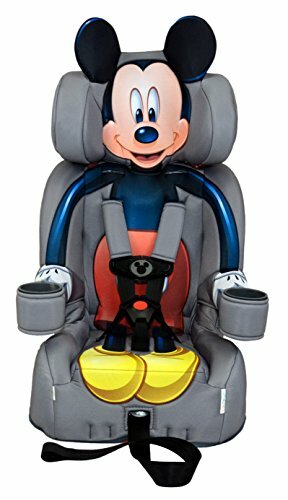 I hope my review of the Disney Store and Go Backless Booster Seat helps you as you look to purchase a booster seat for your child. For more information, check out our article, The Top Ten Baby Car Seats Of 2018.